It’s rather safe to say that physicians and healthcare practitioners earn more surnames, adjectives, and professional titles than those working in most any other industry. Aside from the traditional distinctions like MD, LPN, CNA, and PA, there are endless specialties, everything from bariatrics, to geriatrics, to pediatrics, and so on. It seems that in healthcare especially, everybody is an expert in something, which makes one wonder why more physicians and healthcare professionals have yet to earn—or perhaps claim—the rightful role of “thought leader” among patients, their community, and their own respective segments of the broader healthcare industry. With uncommon knowledge and expertise in the most critical of all industries and fields of study—our health—physicians and healthcare practitioners, and industry executives, too, are more uniquely positioned to become thought leaders than many of them tend to believe. Ascending from practitioner/marketer to thought leader, however, requires some applied marketing knowledge and an effective content strategy, both of which we’ll profile in some detail here today. Technology and the internet have helped transform and transcend the traditional provider/patient relationship, so much so that more than three in four patients now search online for thought leadership before choosing or visiting a healthcare provider. And, the numbers are even higher for young patients (those 18-29), 82 percent of whom turn to search engines first (vs. 73 percent of patients 50 and older). For physicians, practitioners, and healthcare executives, a high level of specialized training, practical knowledge, and insider access to the latest health- and healthcare-related research and ideas can inspire thought-provoking content. This is the foundation of engaging current and prospective patients, allowing your voice to be heard and your expertise to be known, and creating positive public perceptions about you and your brand. Content alone is just a component of thought leadership, but with little doubt, it’s the most powerful tool available to healthcare experts as they seek to become not just thought leaders, but also more active partners in their patients’ ongoing care. Baby Boomers especially covet this type of relationship. 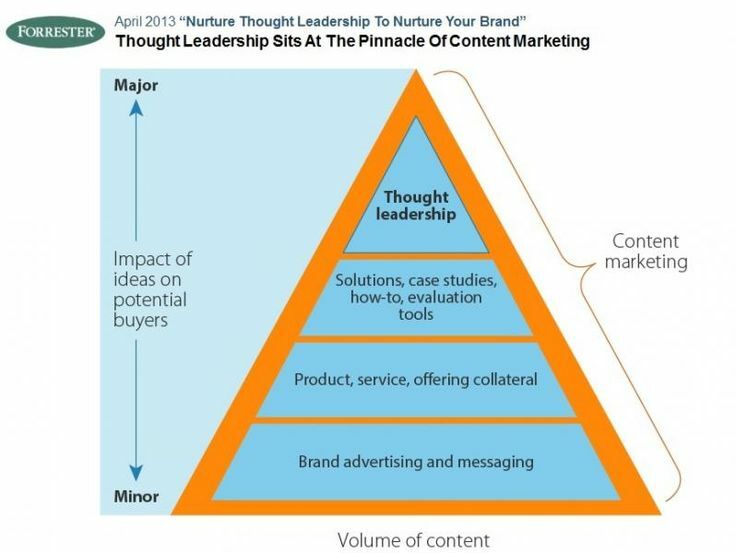 Significance and depth of subject matter, are among the primary differentiators that separate regarded thought leaders from other, run-of-the-mill, content-publishing peers. Clinical drug trials in the U.S. Thought leadership is about having a strong point of view on high-impact subjects your audience needs to know about. And, because thought leadership isn’t about taking the “safe route,” don’t be afraid to be controversial, either! Often, it pays to be interesting and provocative, if not a little opinionated, providing facts and commentary along with a clearly defined takeaway that maximizes value for the reader. Also—and here’s where healthcare professionals have a distinct advantage— there’s no better way to leverage your own, firsthand experiences into great content than by writing in-depth, thoughtful answers to the questions and concerns you’re addressing most frequently yourself. Thought leaders say what they believe, and in part, it’s that confident expertise that conveys their leadership. A thought leader’s effective content strategy successfully blends quality messaging with the right delivery methods. Afterall, what impact could even the most well-written, entertaining, and/or thought-provoking content have if it was never viewed en masse by members of the target audience? To leverage your unique content for best results, develop your content publication strategy using a variety of different media, from blogs to white papers and other long-form content, to video and images like photos and infographics, and maybe even printed materials, especially if marketing to older people who prefer printed media over digital. Diversify your content offerings to span the most popular types of media and you’ll stand to garner more exposure, create a unique value proposition for more people, and have a better chance at becoming a trusted thought leader as a result. And, don’t limit your own content exposure by relying only on the websites and social media outlets that reside under your own marketing umbrella. 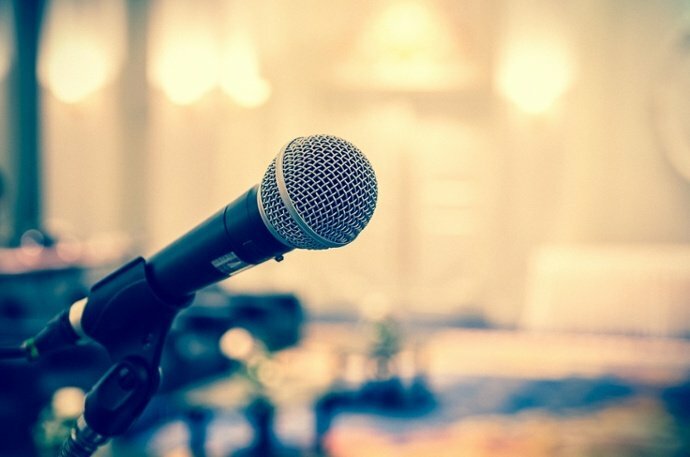 In addition to posting content on your websites and social media accounts, arrange to publish content as a guest contributor on partner sites, news outlets, or healthcare industry sites, and speak in person at health forums and community events to share knowledge and make meaningful connections with patients outside your current network. Those activities tend to cost practically nothing, but may pay off handsomely and in relatively short order. Regardless, it’s all part of branding yourself as an expert and gaining acceptance from others—the acceptance you’ll need to reap the benefits that come with being a thought leader in your respective field.